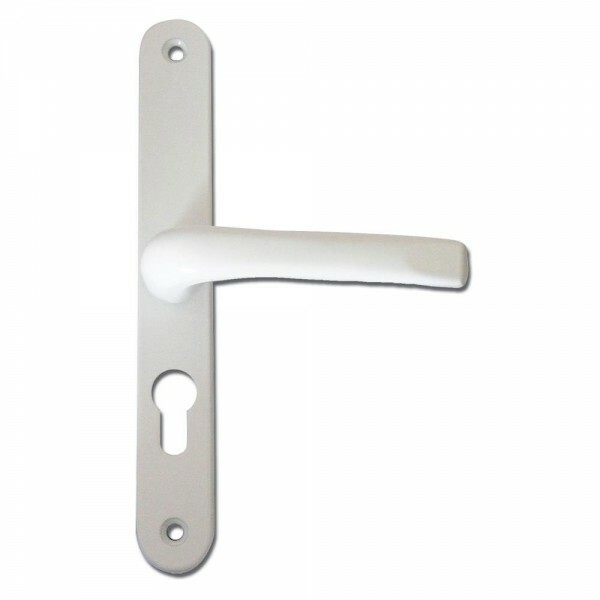 This Asec Multipoint door handle set is mounted on a 270mm high backplate, it has 70mm centres, 240mm screw centres and is suitable for a locking mechanism that takes a euro profile cylinder. Non-handed (reversible). Supplied with 8mm Spindle. Supplied complete with fixings. Often used with Ferco multipoint locks.